Kanata Lakes is One of the most expensive neighbourhoods within Kanata, and the table above shows that if you bought a house here in the year 2000, it is now worth double what you paid for it, in just 17 years. In the same timeframe, homes have only decreased in value a few times and these were very small decreases for the most part. We did see a large increase in 2010 of almost 17%. 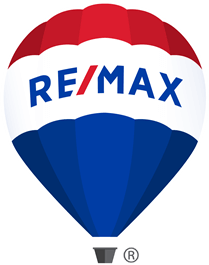 What's the range of home prices in Kanata Lakes/Marchwood Lakeside? There were 5 condos in Kanata Lakes that all sold for under $300,000, these were 1 and 2 bedrooms on Guelph Private, Robson Court, Earlton Private and Boundstone Way. There were 6 homes that sold for over $1,000,000 in Kanata Lakes, these were 5 freehold and one Condominium. These were on Cecil Walden Ridge, Grainstone Way, Manning Court, Kanata Rockeries Private and Goulding Crescent. How long does a home in Kanata Lakes take to sell? In 2018, it took between 0 and 434 days for a home to sell, with the average being 33 days. Home seller's here got 100.12% of their listed price, on average in 2017.